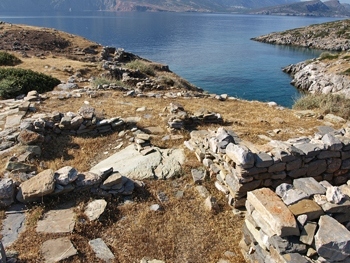 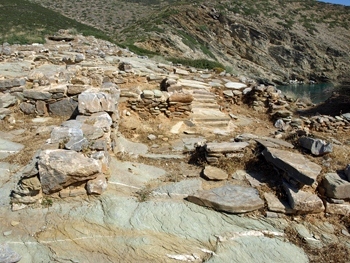 House BC, also known as the House of the Pillar Partitions is to be found on the West side of the peninsula a little to the north of the town square. 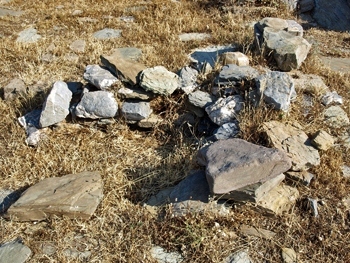 The threshold to the building (BC9) can be clearly seen. 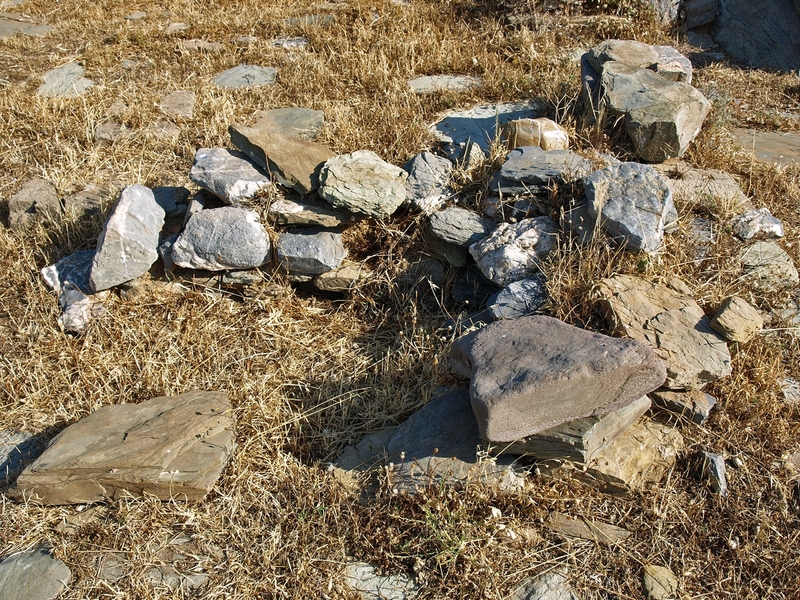 There is at least one staircase (BC6) opposite the entrance to the building and possibly another (BC7B). 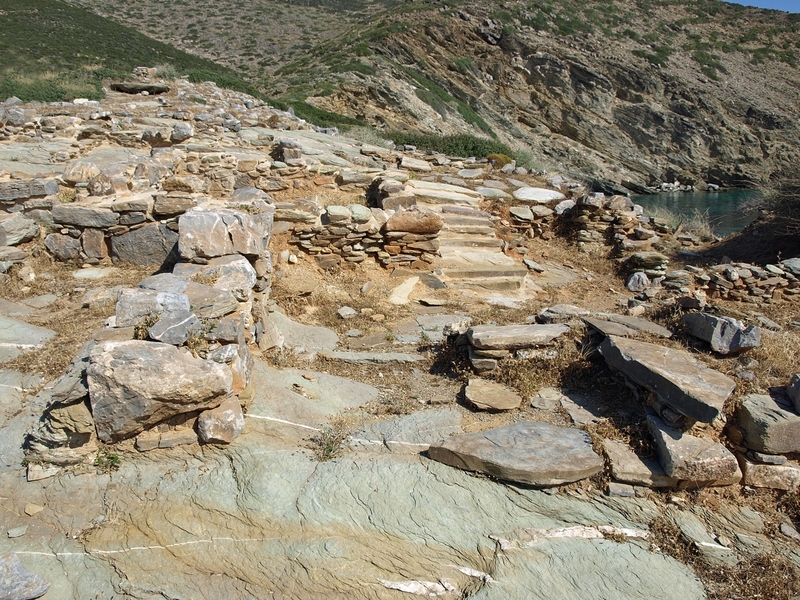 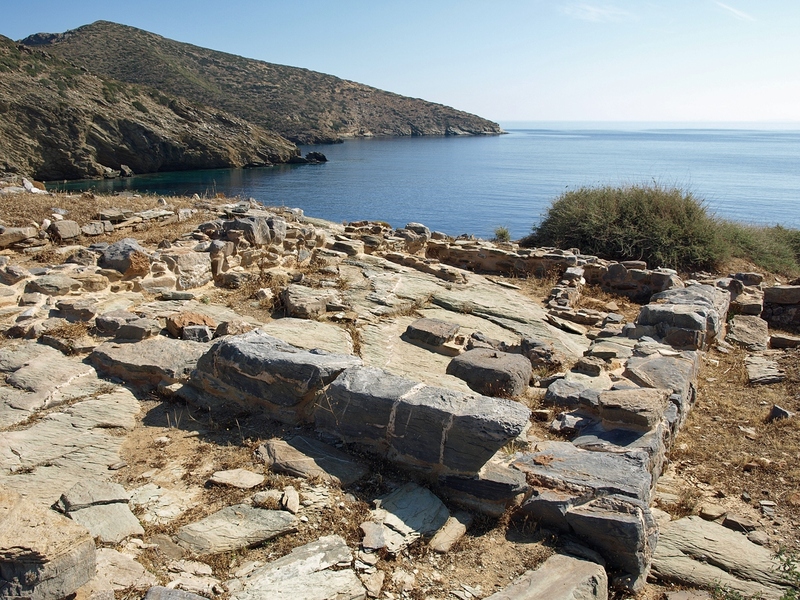 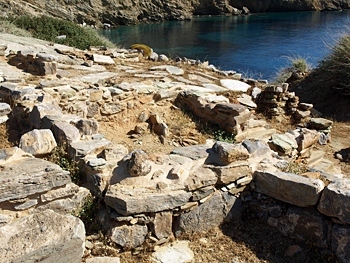 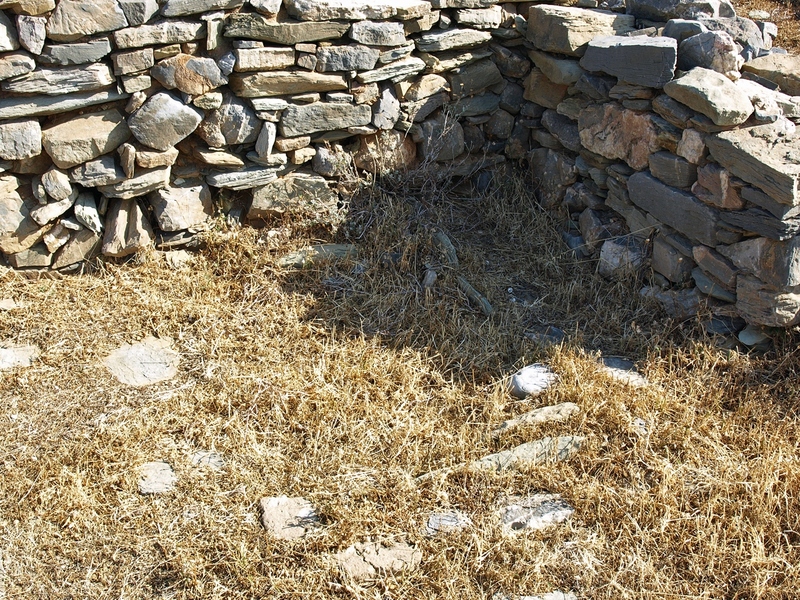 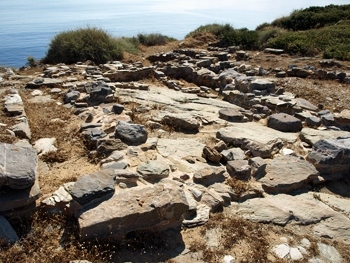 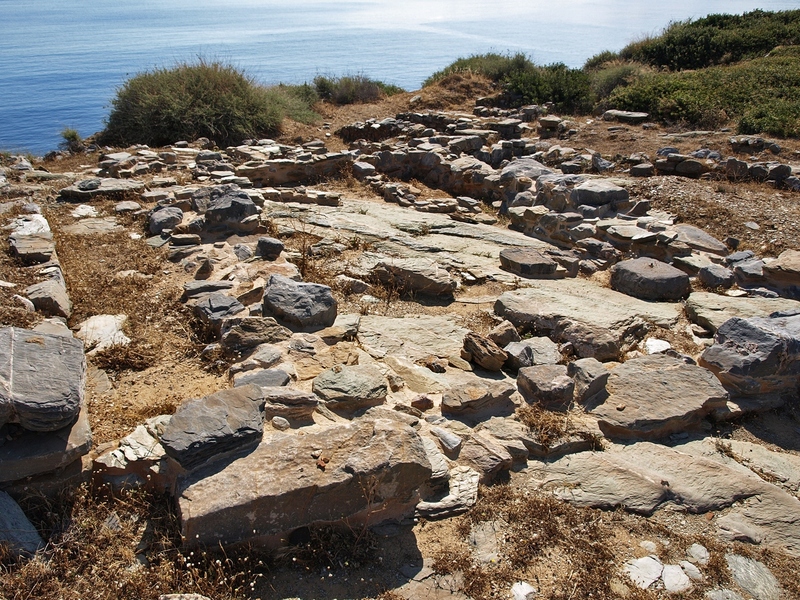 There is a large room at the back of the house (BC2) which has a paved floor and pier-and-door partitions, a relatively unusual feature in Minoan houses. 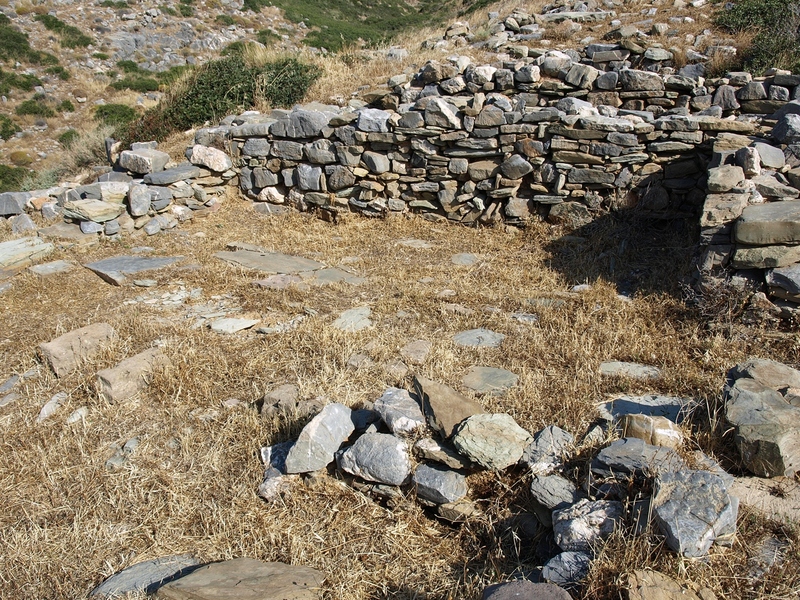 In room BC4 there is a sunken bathtub, not currently clearly visible as it seems to be filled with soil. 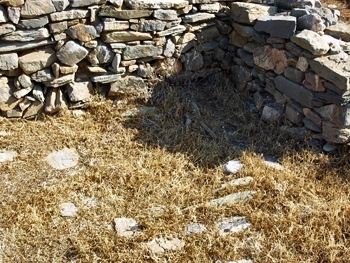 The bath is more than 12 centimetres deep and measures about 1.5 metres by 1 metre. 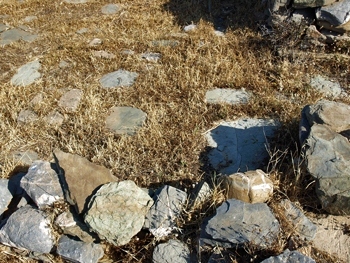 Vertically placed stones mark the area of the bath. 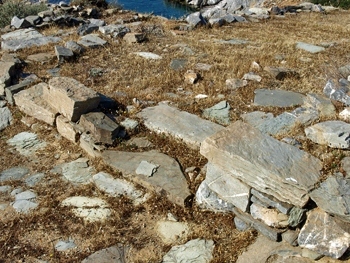 There were two benches on the north and east of the bath area, of which little remains visible today. 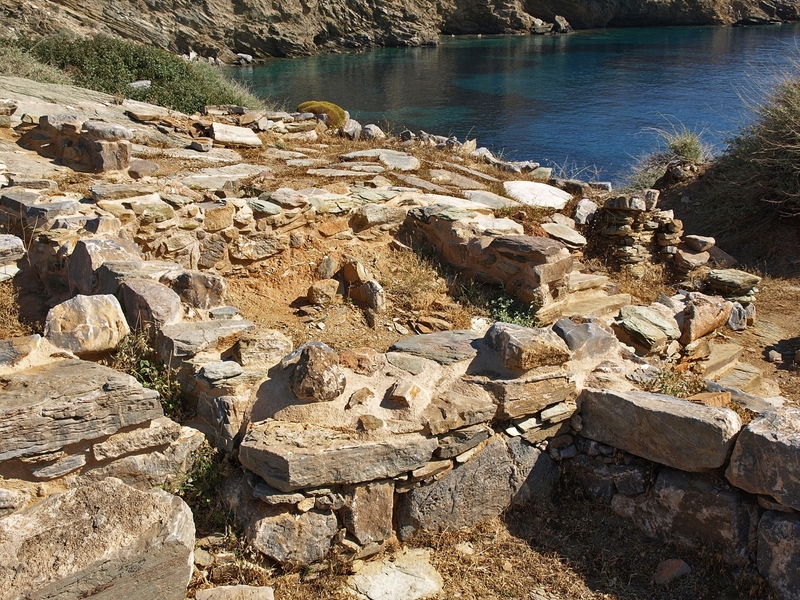 Seager claimed that room BC2 was divided from BC3 by two pillars which created a partition, hence the name by which the house is sometimes known. 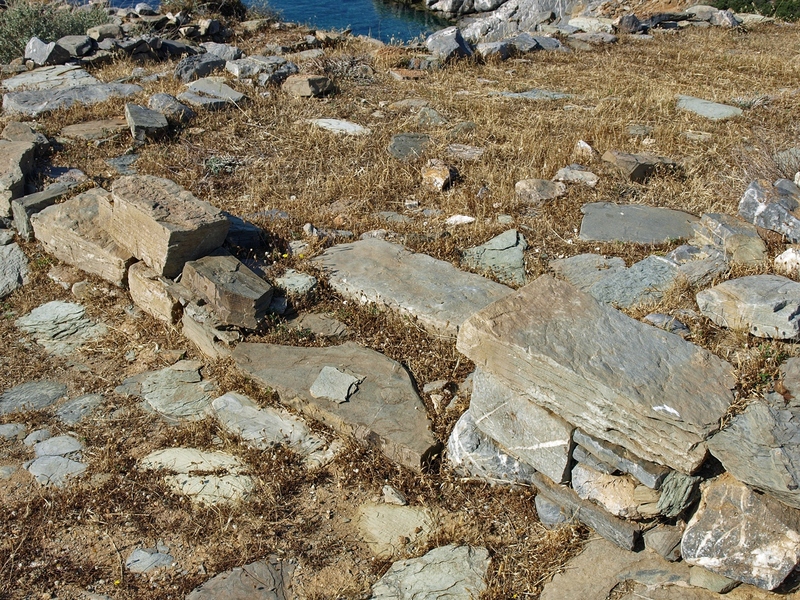 These pillars are no longer in place. According to McEnroe this area was a small version of a Minoan Hall. 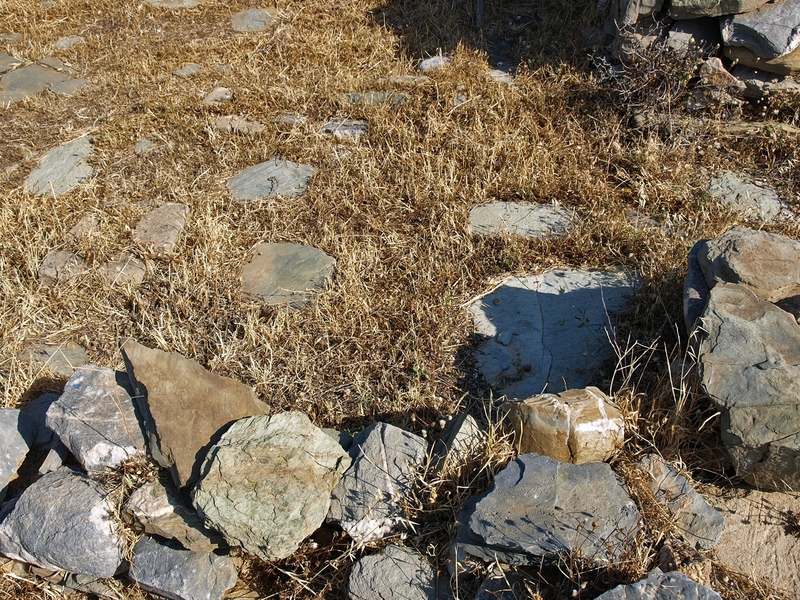 It is possible that the building had a courtyard, BC13, used as a work area as stone pestles, a mortar, fragments from cooking pots and loom weights were found here. 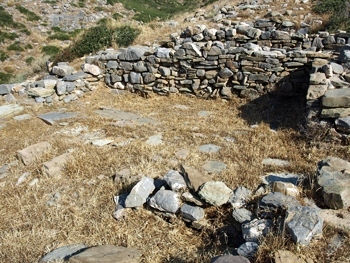 It seems that the house, which was built along with much of the village in LM IA, was destroyed in LM IB.